Every teacher has a pair of scissors. Every special education teacher has a pair of Velcro scissors. And every teacher has gone through the struggle of having something sticky attach to their scissors, making it difficult to cut anything. 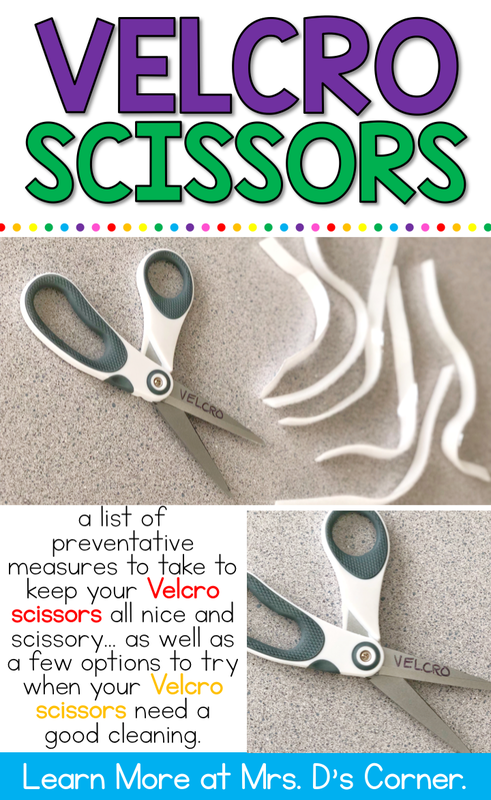 Below is a list of preventative measures to take to keep your Velcro scissors all nice and scissory… as well as a few options to try when your Velcro scissors need a good cleaning. You’ll want to use a pair of scissors that are non-stick. And then label the blades “VELCRO” with a permanent marker… that way there’s never any mixup. These are the non-stick scissors I use. While you don’t need to use non-stick scissors to cut hook and loop (they don’t make a better or straighter cut and they don’t do magic), you can choose to use any pair of scissors you’d like. Since we’re talking about cutting Velcro, let me share where I order all of my Velcro from and what sizes I buy. If I’m ordering in bulk, I always go to Feiner Supply. When I say bulk, I mean enough Velcro to fill a 12″x12″x12″ box… that will last me months. I get 1/2″ coins and 1/2″ strips. So what happens when the sticky back from your hook and loop attaches to your scissors? What do you do? How do you get it off? And how can you help prevent it? 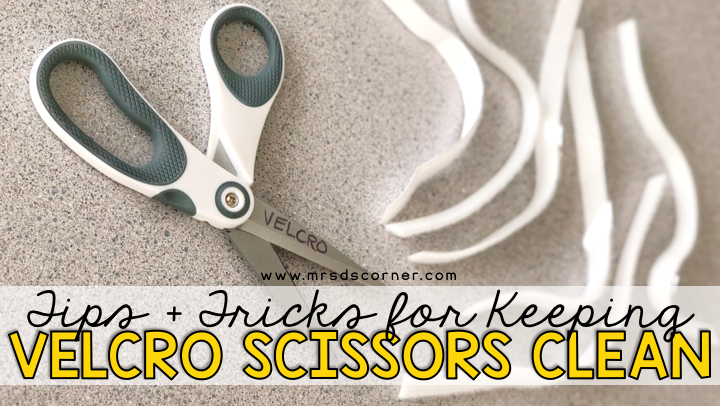 Have another tip or trick to keeping Velcro scissors usable and functional? Tell us in the comments!